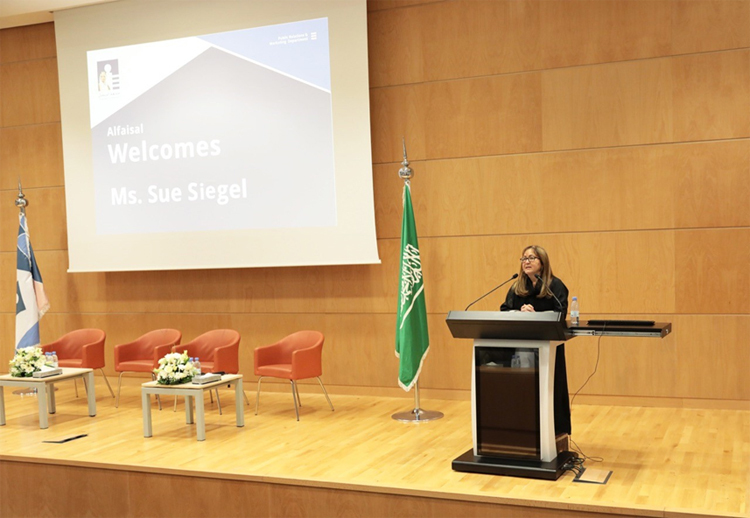 This was Ms. Sue’s first visit to the Kingdom as she was an invited speaker in MISK Forum. 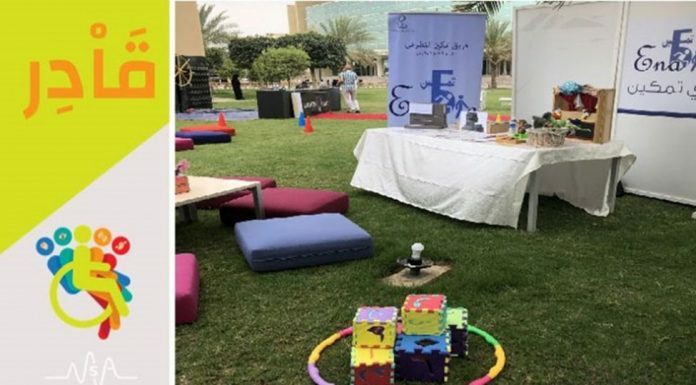 Ms. Sue reached to Alfaisal University through the College of Engineering to directly share and engage with the young future innovators and leaders in the Kingdom, specially females. 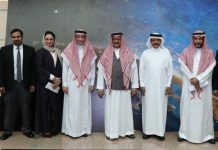 Global and Regional Directors from GE joined Ms. Sue in her visit; Mr. Hisham Al Bahkali, President & CEO, GE Saudi Arabia & Bahrain, Ms. Kristin Schwarz, Director, Innovation Communication, GE , Ms. Rania Rostom, Chief Communications Officer GE Global & GE MENAT, Mr. Stephen McCallion, Director Government Affairs & Communications, GE Saudi Arabia & Bahrain, Ms. Nourah Al Zaid, Director Government Affairs, Baker Hughes, GE – Saudi Arabia, Ms. Sulafa Hakami, Communications Leader, GE Saudi Arabia & Bahrain, Mr. Majed Nasser, Senior Account Manager, GE – Saudi Arabia and Nour Lababidi, Communication Specialist GE Digital – Saudi Arabia. 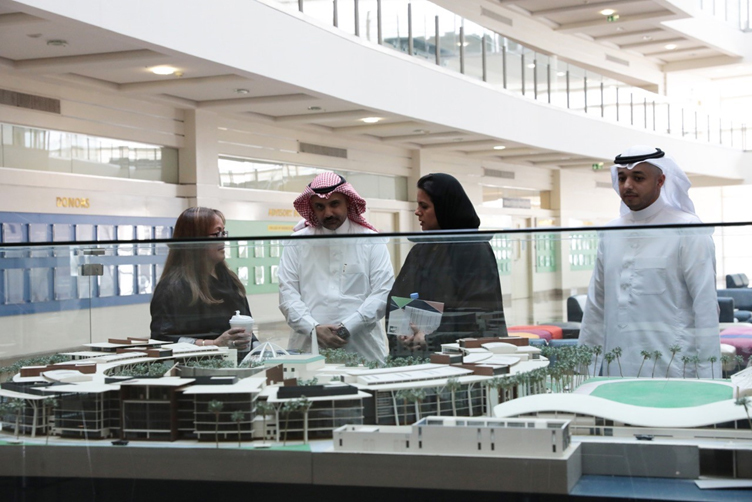 In addition, delegates from the Ministry of Health (MOH) joined her visit too; Mona Faiez Al Mehaid, Director, Enterprise Clinical Program, Ministry of Health, Mona Sahman Al Subaie, Director of Applications Engineering Department, Ministry of Health, Reema Fahad Alsuwaileh, Mawid Program Manager, Ministry of Health and Roa Mosaad Al-Faiz, Clinical Program Implementation Supervisor, Ministry of Health. 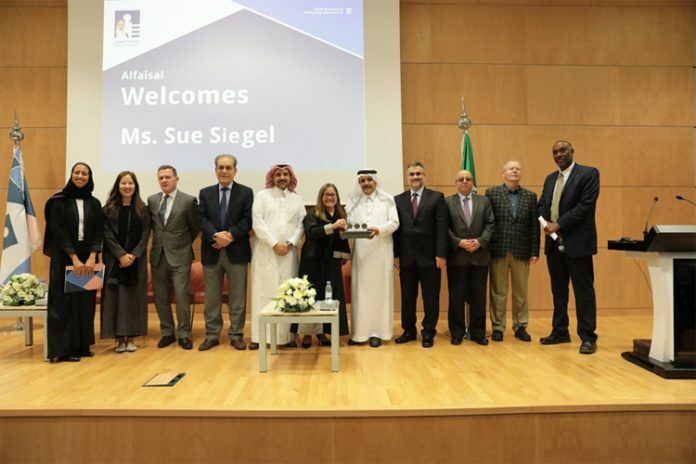 Ms. Sue Siegel, GE delegates met Alfaisal University Senior Management led by the President, VPs, Deans, College of Engineering Senior Admins and Department Chairs before her talk. 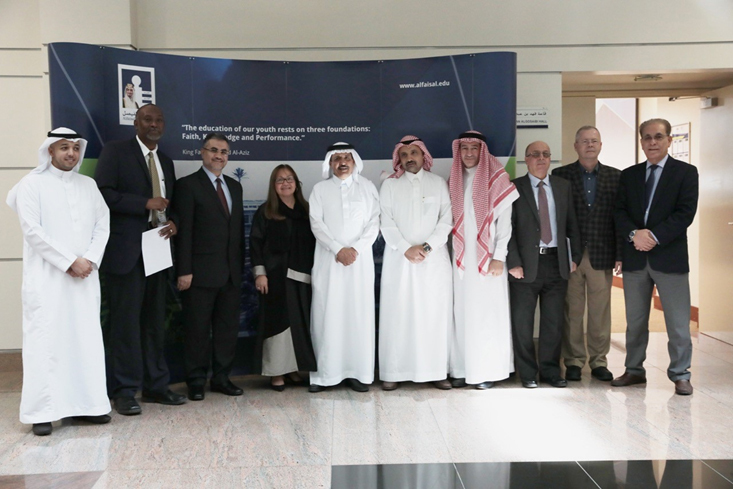 In the meeting, Ms. Sue was welcomed and introduced to Alfaisal University. The meeting was followed by Ms. Sue’s talk. Ms. Sue started the talk with a brief introduction about herself and her background then followed by outlining the main points of the talk; follow your passion, take risks to keep learning and bring people along with you. 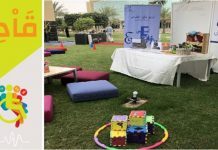 Ms. Sulafa Hakami, Communications Leader, GE Saudi Arabia & Bahrain, joined Ms. Sue on the stage to shift the session flow into a fireside chat. Ms. Sue, shared precious advices and tips on team work, quoting from her, “You are an ambassador to the team you are working on, you have to remember that”. Ms. Sue endorsed on using the team work as a mean of problem solving and self-motivation. The session was very captivating, and the audience asked Ms. Sue many salient questions to which Ms. Sue responded with elaboration. The talk was pursued by students meeting with Ms. Sue for an extended Q&A session. The students were mostly Engineering Students, with whom Ms. Sue prolonged the share of her personal experience. The students’ questions ranged from stressful situations management, time management, career shifts and whether Ms. Sue will be writing her own book. Ms. Sue advocated men to support their women colleagues and partners and explained terms such as “manterrupting and mansplaining”. 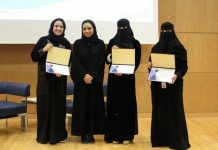 She also encouraged women to share more about their issues with their male counterparts to enable them to understand the difficulties women face in the modern world. Ms. Sue demureness and modesty made everyone go home with a gladsome memory pinned to their mind to carry forever.